Excel Electrical Contractors - Do You Need Electricians in Stafford? Do You Need Electricians in Stafford? Before any electrical work is carried out, you need to be sure that you have employed the services of fully qualified and accredited electricians in Stafford. Why? Firstly, you might be able to find a “tradesman” who can do the job at a cheap price. But if they haven’t got any accreditation and no affiliation to a professional body, then their work may not comply with electrical safety regulations and best practices. This puts you and your property at risk of injury, damage, or in the worst case scenario, a fatality. Electricity is dangerous, so don’t take chances. If they are not an official electrician, then they will not have adequate insurance if any at all, so their work and any problems that arise from it are not covered. Should an unfortunate event happen, you could be out of pocket and unable to claim. 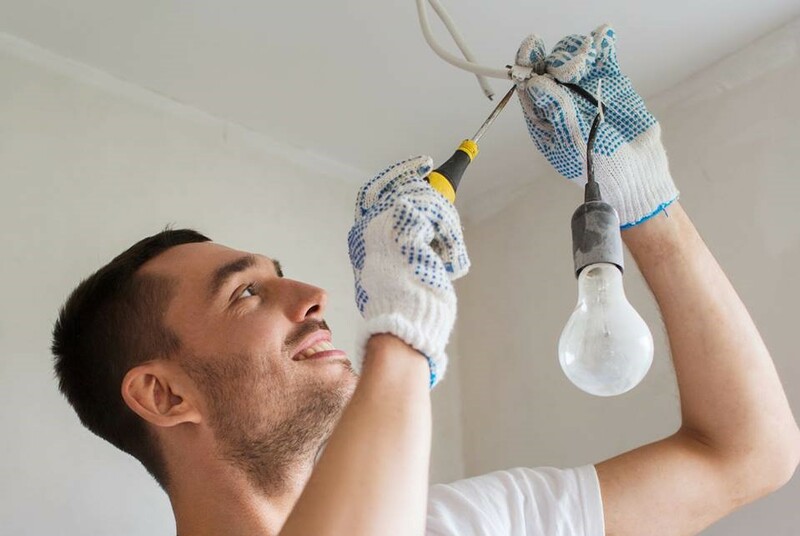 The additional cost of having the work put right by accredited electricians in Stafford can be more than having the job done properly in the first place. None of what has been mentioned above is scare tactics. You only have to go to the Professional Electrician & Installer Facebook page to see examples of poor and dangerous workmanship which needs correcting. We are members of the National Inspection Council for Electrical Installation Contracting, and Excel Electrical Contractors are NICEIC Approved Contractors and Domestic Installers. You can be sure that our work is safe and certified and all our electricians in Stafford are qualified and carry out work to the highest standards. Our team of electricians in Stafford at Excel Electrical Contractors are highly experienced in a full range of commercial contracts and domestic installations. From warehouses and factories to an extension on your home, we’ve got it covered. For a quote on any internal or external electrical work, please contact us today.